Hello to all you SITS users, we are the new SITS Training Team here at the University of Bradford and we’d like to wish you all a warm hello as we begin our task of improving the quality of SITS knowledge and usages across the University of Bradford. Some of you may well be thinking, and still saying SAINT for now since that is how it has been branded here for a number of years. In fact the student records system we use is created and developed continuously by Tribal and is called SITS:Vision, this is the client represented by desktop icons. We also use e:Vision which is the web view of the database including things like the student Bio and Mark Entry. We have been spending our time familiarising ourselves with the operation of the system and the way the University of Bradford operates. We’d like to extend a very big thank you to all the staff and faculties that have helped us so far and extend our current experiences to as many areas of the University as possible. We’ll be working closely with all departments and faculties along with Tribal as part of the official SITS Trainers Network to bring you the best training and best practices used across a number of institutions. 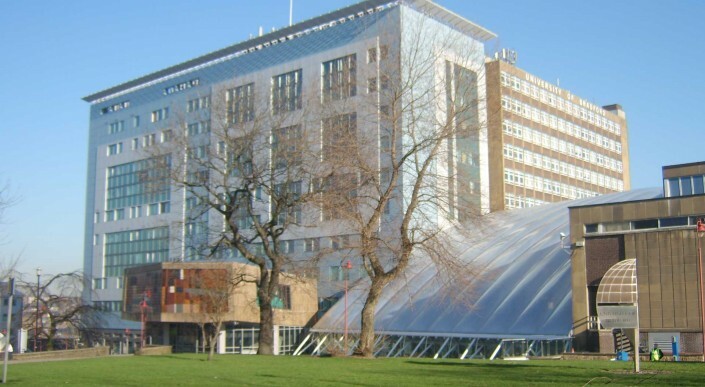 Before my role began here at UoB I worked for the University of Huddersfield for 7 years using the SITS system in IT Support and SITS Training and Support, here I learned the functionality of the system from both a user point of view and that of a system administrator. I have also taught secondary school students at Colne Valley High School so I have solid insight into the challenges facing academic staff members and the use of record systems too. My priorities are to help people understand the Student Journey through the system and how functionality within SITS can be used to help people replace the production of spreadsheets, documents and manual processes currently taking significant admin and academic time. In my personal life I have beautiful daughter and a son born recently, and if I’m not talking to you about SITS, I’ll be talking about gaming, Liverpool FC and Top TV Shows. Some of you will know me from my previous role at the University working in Accounts Receivable. I have had quite a varied journey leading me to my current role starting out in finance which set me on an accountancy route. This changed after having two children and I worked part time as Special Needs Assistant. Initially the idea was to do this for a couple of years and get myself back into the world of work. I actually ended up doing the role for 8 years! A challenging but very rewarding role. Having spent eight years in the classroom I decided to take the plunge and be the one standing at the front of the classroom and became a qualified Secondary School ICT teacher. I am now delighted to be part of the SITS:Vision support and training team. My aim is to help users feel confident with their knowledge and working relationship with SITS. I am a great believer in sharing best practice so where we come across good practice we will most certainly be sharing this. Why make life hard if there is an easier or more efficient way of doing it? SITS and its usage is very important to the workings of the University and we want to ensure you have all the latest information available to you in one, easy to find area so here you’ll find a number of updates around training and using the system in the best possible way and much more. You can check out where we are in terms of updating the system in the SITS Upgrades and Testing Area. This will give you news on new functionality into SITS so you can see why we are upgrading and what benefits we will gain. We will also post details of times when we are running the testing process on new versions of SITS and we’ll want as many users as possible testing new updates in order to ensure everything is working as it should and limit any disruption to the system. Sharing good practice can be difficult in a large organisation so this area we will share the good work we have discovered while we have been out and about delivering training, attending meetings and visiting faculties and departments, along with anything else we think is useful to share with you all. The main area will, of course, be Training as that is our priority. Our aim is to ensure all users are well educated in the workings of SITS and have an understanding of how to get more out of SITS. As this Blog develops it is likely more sections will be added as we go. To get in touch about anything please contact us at SITStraining@bradford.ac.uk and we’ll help however we can.